Creativity+ is our annual symposium where our impressive guest speakers, from different backgrounds and industries, walk a large audience of senior level professionals in well-known companies through the most relevant topics of our world today. Just as with Hill+Knowlton Strategies, Creativity+ is always in beta, evolving and transforming the central topic each year to keep us up to speed on our new realities. For 2018 we decided that the time was apt for us to talk about “Humanity”. Humanity is not just a passive topic. In the digital arena of this hyper-connected world, it is imperative for brands to reflect on how to remain human, and engage with their audience’s humanity through their values and creativity that result in business. 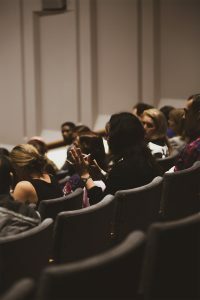 On 12th September, our speakers looked at a multitude of areas, from how technology can help and hinder effective communications, to what audiences expect from the organisations that they engage with, to what happens with your digital after-life. Needless to say the sessions proved to be incredibly insightful to those in attendance, going beyond the usual communications landscape and venturing into innovative topics that are not always common, or that haven’t yet been explored. Our day started off as a hub of excitement over breakfast with the arrival of our attendees, followed by powerful opening from our H+K UK CEO, Richard Millar. Richard’s introduction gave the audience a chance to explore what’s going on currently and in the future of the communications industry, while he prepared the auditorium for a day full of Creativity+ Humanity. At the centre of the day were our speakers, who led, moderated and debated insightful sessions that engaged the entire audience. 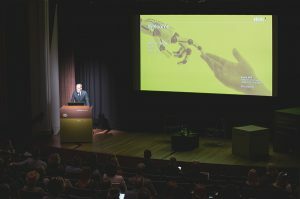 Whilst the topics ranged from online banking to influencer marketing to your online legacy; led by experts from leading brands such as WPP, P&G and Google, the overarching theme remained the same: that creativity and the ability to ‘humanise’ your brand are the keys to corporate and consumer success. The sessions were stimulating and clearly communicated in a relatively short time frame. They clearly left the audience with food for thought, as shown by the resulting questions at the end of each session, not to mention the social media engagement. Halfway through the day we took a break for a lunch and networking hour, time that ours guests used to interact and discuss their different points of view on the topics presented during the morning. During this time, the audience had the chance to ask the speakers questions that due to lack of time they would not do on the stage, as they remained at Creativity+Humanity for lunch as well. Our attendees were also able to explore the goody bags that contained Cards for Creativity and a pack of lego to create a ‘masterpiece’ with, which they could use to promote Creativity + Humanity after event. The success of Creativity+Humanity was not only tangible in the auditorium, but it was also a pan-regional hit online. We live streamed every session and posted all the details on social media. Many of our colleagues around the globe tuned in, as well as our clients in remote geographies. Debates and conversations developed on Twitter, so much so that our hashtag, #HKCreativity, ended up on the UK trending page several times throughout the day. We are grateful to all of our guest speakers and attendees for taking a whole day out of their busy schedules to attend Creativity+Humanity and add their touch to a very successful day. We hope you enjoyed the event and took away new learnings. Find videos of each session from Creativity+Humanity over on our YouTube Creativity+Humanity 2018 playlist here and the photos in our Creativity+Humanity Facebook album here. All comments are welcome.